Above is the test inductor. 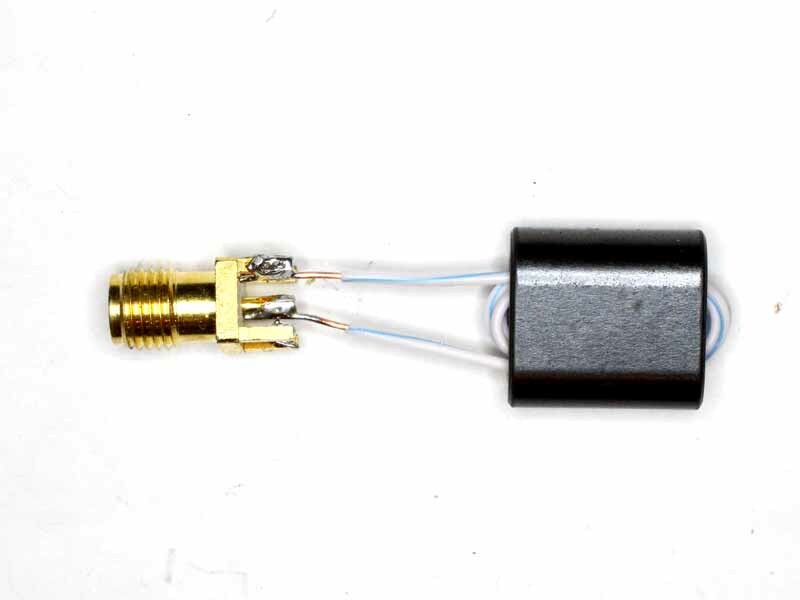 It comprises 6 turns of 0.5mm PVC insulated wire wound on a BN43-202 binocular balun core. 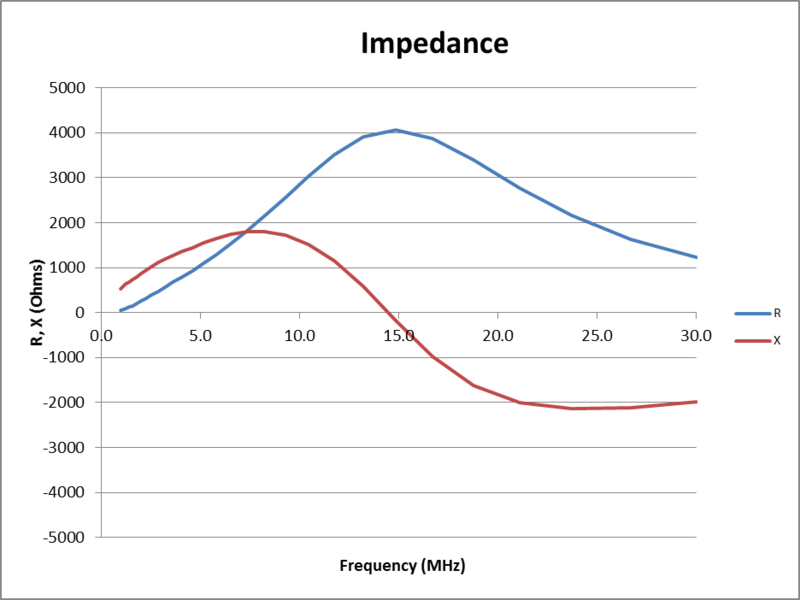 Above is a plot of predicted inductor impedance. The model is calibrated for assumed self resonance around 15.5MHz based on measurement of the inductor using the latest production version of AIM software, AIM882. 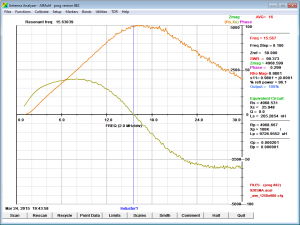 Note that the curve is smooth, R rises to a peak at the self resonant frequency, and X increases linearly at low frequencies until the effect of equivalent shunt capacitance turns the curve over and it passes through zero. 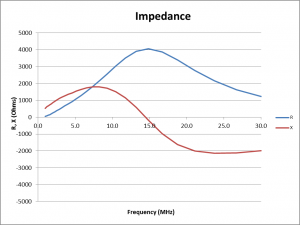 Measurement with other instruments show this to be a quite good model for this type of inductor over this frequency range. 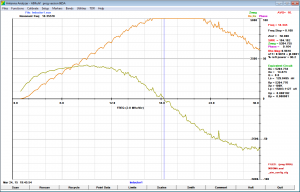 Note though that tolerances on ferrite cores is quite wide and for #43 mix, variation of 20% in measured R and X is not out of the question. 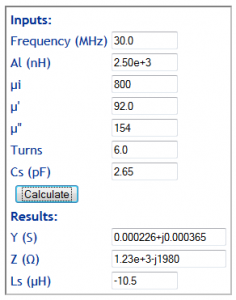 You can calculate Z at other frequencies using Calculate ferrite cored inductor (from Al). The instrument was calibrated using a standard cal, and the test fixture was a 920mm RG58 cable with SMA connectors, and a N-M to SMA-F adapter on the AIMuhf. 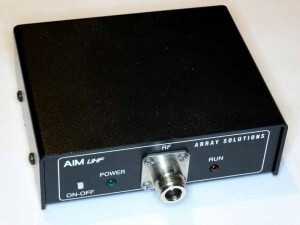 Above, measurement with AIM865A. R is higher than predicted, but not excessive. X is pretty much in line with prediction. Above, measurement with AIM882. 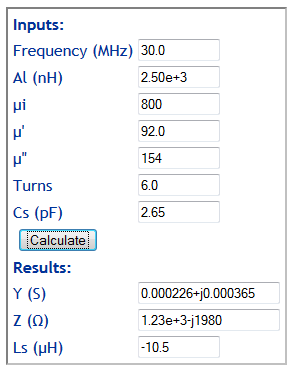 R is a little higher than predicted, but not excessive. X is pretty much in line with prediction. Above is the AIM882 plot with the AIM865A plot overlayed. Though the colours are the same, the AIM865A curves are readily identified by higher R and higher self resonant frequency. 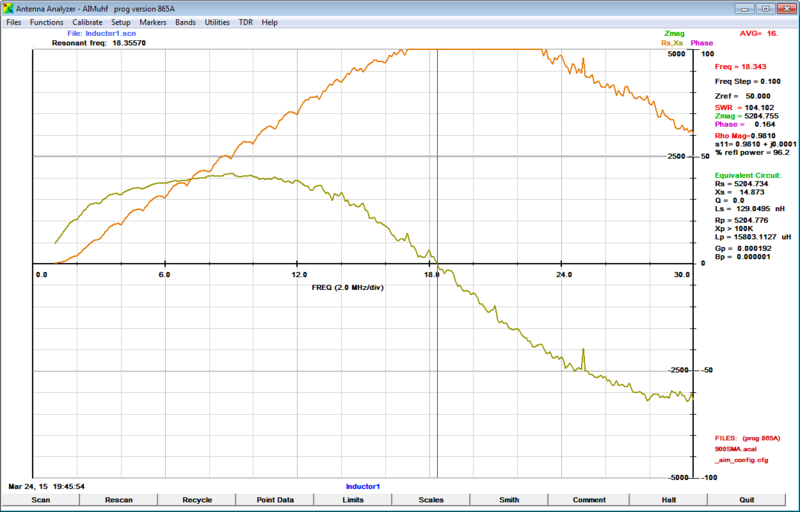 For AIM882, R is higher, and the resonant frequency is significantly lower than indicated by the AIM865A measurements which is difficult to explain as the system was calibrated with the same test fixture, same SOL devices, and within minutes of each other. 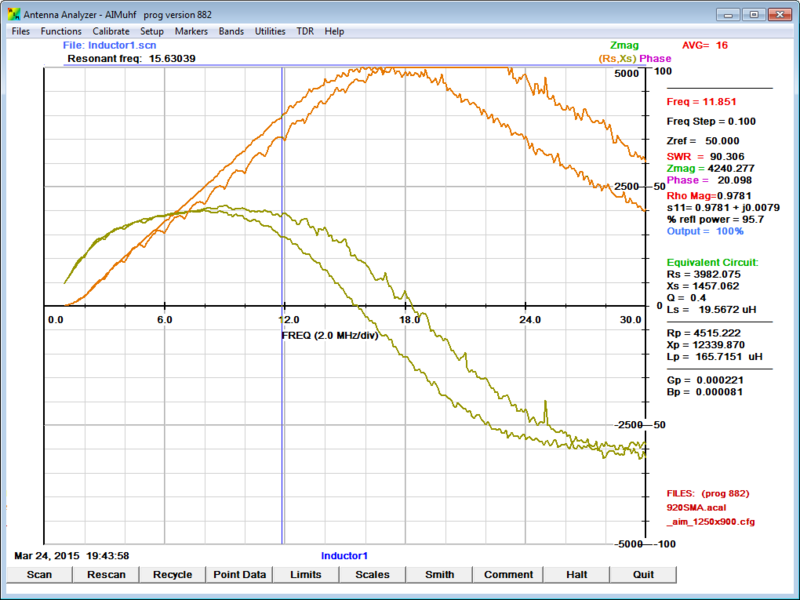 The other notable feature of the AIM865A plot is the ripple on R, it is very apparent below 15MHz and that is not a feature of the DUT, it is a result of the AIM system. Release notes do not make any disclosures that might explain the apparent difference in the two plots. They cannot both be correct, one or both are wrong! It does appear that changes were quietly made to AIM882 which may have improved its accuracy, it is certainly different to AIM865A. It is concerning that the author does not fully disclose problems that were identified and the impact that may have made on historical measurements. does not give information to assist in salvaging good data from tainted historical measurements where that is possible. For those reasons, all historical measurements must be regarded as having very limited value and future use is against the background that the measurements might later be show to be worthless.